This Double Perc Grace Glass bong is an excellent piece of glass art that will give you a super-dooper hit! It is made of a robust heat proof borosilicate glass formed in the shape of a flat base tube of 58cm height, 65/50mm diameter and 7mm wall thickness. 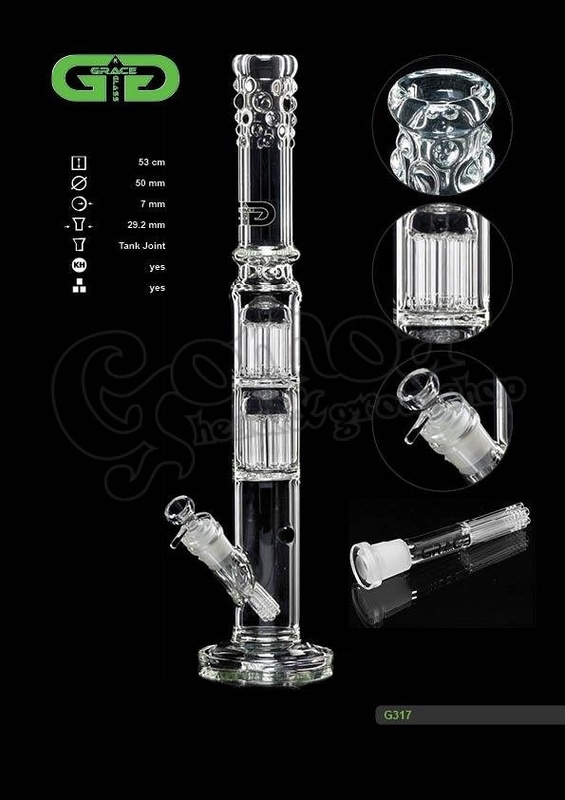 It comes with a 2x10Arm percolator that bubbles up your smoke, for extra smoke diffusion, and a splashguard in the shape of a dome that prevents water from splashing into your mouth. 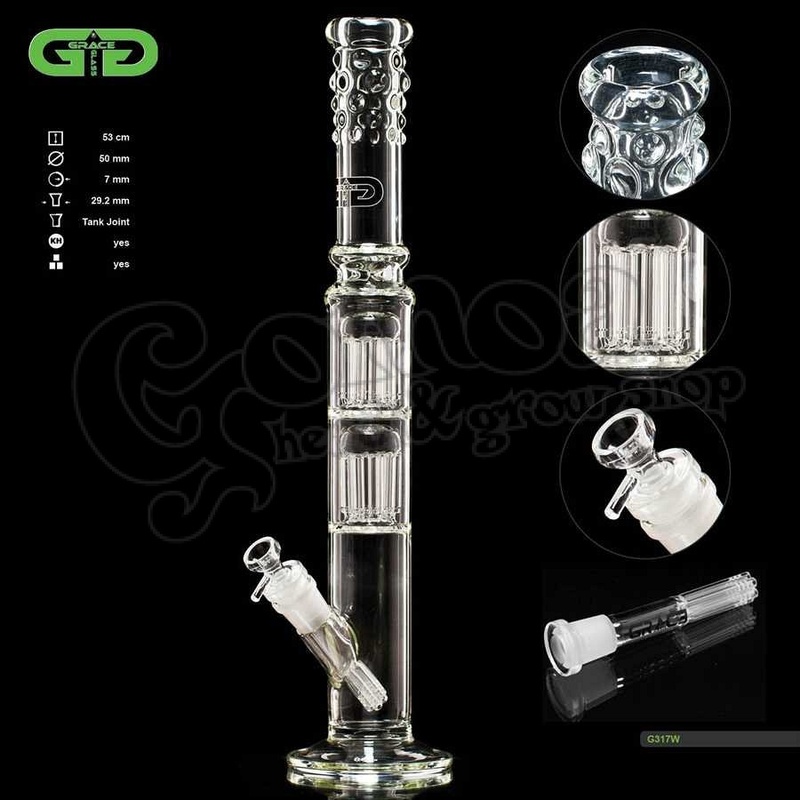 It includes a detached 6 Arm sure ground of 29.2mm diameter accompanied by a slide bowl with a handle that makes it easier to use, as long as you can lift it up and clean your bong at your convenience. What's more, some ice noches can hold a few cubes, for cooling your smoke, and a kickhole with a rubber carb stopper at the height of the sure ground will offer you the option of enjoying a different angle of smoking! With the black Grace Glass logo featuring along the tube, the whole set up ends up with some glass beads beautifully shaped around the slide mouthpiece on top of the the tube.